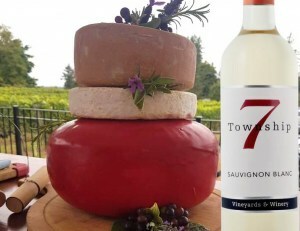 Township 7 Vineyards & Winery South Langley, 21152 16th Ave. Anniversary Celebration - South Langley Join the party! We have a very exciting weekend planned at our South Langley tasting room with special wines being opened throughout both days including the release of our 2017 Sauvignon Blanc! We will also have live music and a "Cheese" cake cutting at 2:30 pm. (Cheese provided by artisan Golden Ears Cheesecrafters). Bonus! We will have limited quantities of magnums available and library wines for club members.